Slovenia with the official name as the Republic of Slovenia is a nation state on the Adriatic Sea. It is surrounded by Croatia to the south and southeast, Austria to the north, Hungary to the northeast, and Italy to the west. 20,273 square kilometres is the area Slovenia covers. Forty seven kilometre is the approximate length of the Adriatic coastline. It runs from Croatia to Italy. Slovenia touches the Alps and borders the Mediterranean and is situated in central Europe Triglav at 2,864 m is the highest peak in Slovenia. The Alps, the Dinarides, the Pannonian Plain, and the Mediterranean are the four main regions and they meet in Slovenia. The Kamnik-Savinja Alps, the Julian Alps, the Karavanke chain are in the north part of Slovenia. Kras Plateau in Slovenia is a limestone region and features underground gorges, caves and rivers. Slovenia’s most of the terrain is hilly. East and northeast part is generally flat. Slovenia is the third most forested country in the Europe as half of the country is covered by forests only. The river system is divided into two parts, Black Sea basin and Adriatic Sea basin. 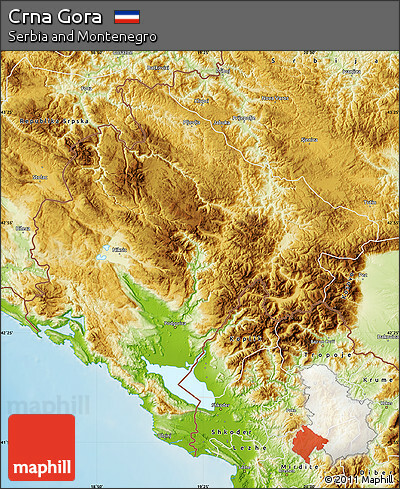 As most of the Slovenia is based in Adriatic basin, it is the main drainage basin. Croatia is a country located in the meeting point of southeast and central Europe. It is a part of the Balkan and Mitteleuropa region. The country stretches across 56594 square kilometers of land area.It lies between north latitudes 42 and 47 degrees and east longitudes 13 and 20 degrees. The country shares its borders with Bosnia and Herzegovina and Serbia towards the east, Slovenia to the west, Hungary to the North and Montenegro and the Adriatic Sea to the south. The country is separated into 3 major geomorphological parts known as the Dinaric Alps, the Pannonian Basin and the Adriatic Basin. The Pannonian Basin is dominated by low lying lands and makes up for 53% of the country’s land area. The Dinaric Alps are the region of the high lands and also contain the highest peak in the form of Dinara which stands at 1831 meters. The Adriatic Basin has a coastline as long as 1777 kilometers. The Black Sea Drainage Basin drains the country’s largest rivers like the Sava, Danube, Drava and Mur. Whereas the Adriatic Drainage Basin drains the largest river of all, known as the Neretva. The longest river in the country is the Sava which flows for 562 kilometers. The Adriatic Sea provides a 20 kilometer coastline in the southwest. 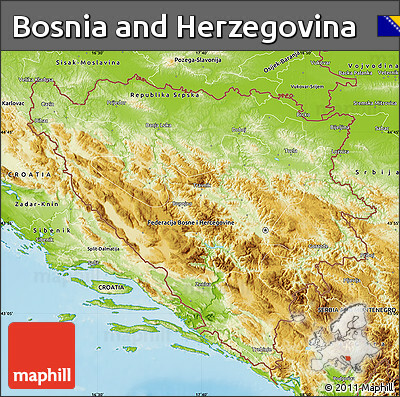 The country is dominated by rocky terrain owing to the Dinaric Alps range.Bosnia lies in the northern region of the country which makes up for 80% of the land area while Herzegovina takes up the rest in the south. The Una River is one of the most important in the country and lies in the northeastern part of Bosnia. The Bosna River is the longest river in the country while the Sava River is the largest. Montenegro is a small country located in the southwest Balkan region of Europe. The country borders Croatia, Serbia, Bosnia and Herzegovina, Albania, Kosovo and the Adriatic Sea. The country spans an area of 13812 square kilometers. Although small, the country is diverse when it comes to the terrain. The northern segment of the country has high mountains whereas the central and western regions are filled with plains, caves and a narrow coastline. Mount Bobotov Kuk is the highest peak in the country and rises to a height of 2523 meters above sea level. It is a part of the Durmitor Mountain Range. The Valley of the Zeta River holds the lowest point in the country. The river Zeta flows very high above sea level at about 450 meters. The Zeta River also drains the two dominant plains ion the country known as the Bjelopavlici Plain and the Zeta Plain. The northern part of the country is watered by rivers Tara and Lim which join the Danube River after draining into the Drina River. The Tara is the longest river and flows for 144 kilometers.The southern rivers all empty themselves into the Adriatic Sea. Lake Skadar also known as Lake Scutari is the largest lake in all of the peninsula. Serbia is a country situated in the Balkan and Pannonian Plain region of Europe. It is a landlocked country but has access to the Adriatic Sea through the Danube River and Black Sea. The country covers an area of 88361 square kilometers. The country has 19499 square kilometers of forests while 19194 is arable land. 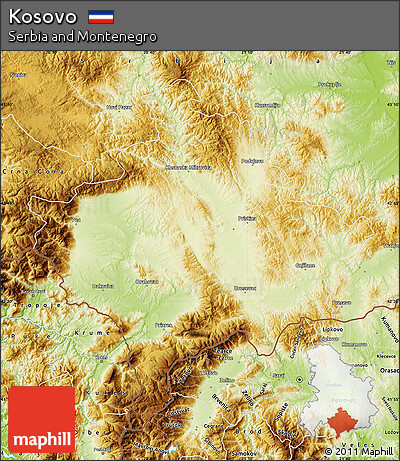 The Serbian terrain is quite diverse as it has fertile plains to the north, basins and limestone ranges to the east while the southeast hold hills and mountains. The northern part of the country is dominated by the Morava River which is a tributary of the Danube River. The central part of the country has rolling hills and a few mountains torn by creeks and rivers. Mountains cover most of the country. The four main ranges are the Dinaric Alps, Carpathian Mountains, Balkan Mountains and the Rilo Rhodope Mountain Range. The highest peak is 2656 meters above sea level and is called Deravica. Most of the country’s area belongs to the Danube River Basin and some part of it belongs to the Adriatic basin. Danube is the longest river in the country as it runs for 588 kilometers. The other important rivers are the Tisa (North), Sava (West) and Drina (South). Kosovo is situated in Southeast Europe and shares its borders with Serbia, Macedonia, Montenegro and Albania. Pristina is the capital and the languages spoken are Albanian, Serbian, Bosniak and Turkish.The country is surrounded by mountain ranges: the Sharr Mountains, the Kopaonik Mountains as well as the Gjeravica (2,656 m), the highest mountain in the land. The central area is an expanse of hills and two large plains stretching from the west to the east. Pristina offers a national museum, theatre and art gallery. There are also several historical mosques, such as Mbretit and Pirinaz, and the Serbian Church of St Nicholas with its rich iconostasis. Peja is also worth a visit, a historical town with the backdrop of dominating mountains with a magnificent gorge over the Bisrica River. This is the ancestral home of the Mediaeval Serbian Orthodox church. Near pristina Gračanica encloses a famous Orthodox monastery founded in 1321, situated near the ruins of the ancient Illyrian city of Ulpiana. Prizren is a small town home to Kosovo’s well preserved Orthodox monastery, Visoki Dečani, built in 1335. Kosovo has a mild continental climate with cold, snowy winters and warm summers. May and September are the best months to visit. Albania or the Republic of Albania is a country located in South-eastern Europe. The Country is bordered by Montenegro on the northwest, Kosovo on the northeast, Macedonia on the east and Greece on the South. The western coasts are watered by the Adriatic Sea whereas the Ionian Sea waters the southwest coast. The country is spread over 28,748 square kilometres of land. The 39 and 43 degrees north latitudes along with the 19 and 21 degrees east longitude contain the whole country. The country’s terrain is dominated by mountains which make most of it inaccessible from the outer side. Korab is the highest peak in the country, measuring up at 2764 meters it is located in a district called Diber. There are many mountain ranges in the country, some of the important ones are: North Albanian Alps, Korab Mounts and Pindus Mounts. The Balkan Peninsula has many lakes and the largest and deepest ones are located in this very country. Coming in at number one is Lake Shkoder which measures to be at least 370 square kilometres across the surface. Ohrid Lake is the deepest lake and measures in at 289 meters which is also located in Albania.